If you are thinking about setting up a fish tank at home, you must also do a lot of research. 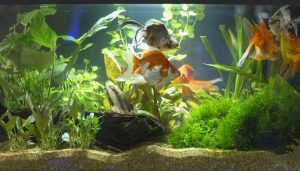 Aquariums do look amazing, and probably seem easy to install, but there are things you should know and prepare before starting such a project. First of all, you need to think about the size and how to set the tank up. Also, although there are many options when it comes to fish, you need to make sure that the species you select are compatible. If you get your fish from a trustworthy supplier, you will also get a lot of instructions in this matter, including how to care for your swimming companions, and what things to put in your tank. What sellers do not tell their customers is what not to include in the aquarium, which is just as important as the necessary accessories. 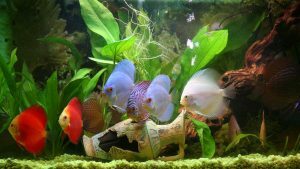 You can easily, and unknowingly, include certain items in the tank which may very well be dangerous or even fatal to your fish. In this article of ours, we compiled a list of things you should definitely avoid putting in your fishbowl. After a long time in the water, this material can release toxic chemicals, and it is better to avoid placing items containing plastic in your fish tank. You might find this strange, as many aquarium toys are made from this element. Indeed, there are some exceptions like food-safe graded products. You can check this feature easily by searching for a triangle made up of three arrows, usually placed on the bottom of the item. Frequently, plastic toys you can find in fish stores are painted. If the paint has not been sealed, it will release toxins into the water which is equivalent to poisoning your fish. You should always make sure that the toys you purchase are sealed and safe to use in your tank. Still, we advise to avoid these. Clearly, many aquarium ornaments are made from wood, and you can find them in pet shops — they are safe to include. What is very important for you to know is that this is treated wood, which is harmless for your fish. What you should be avoiding is untreated wood. If you find a nice looking branch in the forest that you believe would fit perfectly into your tank arrangement, just leave it there, if you do not want to kill your fish. Driftwood is an appropriate choice, and we recommend hardwood, as it takes a longer time to decompose, and it will not have a drastic impact on the water. While sand looks amazing in an aquarium, and it’s part of the fish’s natural habitat, make sure you get some that is treated, and from a reliable supplier. Beach sand is generally polluted and can also contain chemical residue which is harmful for your tank environment. The ocean and the sea are huge collections of water which are constantly renewing — your aquarium is much smaller, and just a handful of chemicals can seriously harm your little companions. Don’t get us wrong, sand is a great addition to your tank, just make sure you get it from a trustworthy source. Some specialists actually use beach sand, but this requires time and a lot of patience. This process involves soaking the sand numerous times, changing the water repeatedly, rinsing and allowing it to settle in the tank. It usually takes two to three weeks. If you have a freshwater tank, you should know that corals and shells add calcium, which is not needed in this category of aquariums. Seashells, among other things, can modify the PH hardness of the water. This process not only causes difficulties for the fish, but it also makes it harder to maintain the tank. In other words, anything that can cause chemical changes in the water should be avoided. We strongly advise against any sharp items in your aquarium. This includes glass, painted glass, or any other objects or decorations with sharp edges. Paint, for example, can flake off objects and end up poisoning your fish. Once a fish gets cut, the wound can easily get infected if not treated quickly, which may lead to its death. Besides avoiding such items, you should also frequently check the objects that are in the tank to make sure they did not get damaged or broken leaving sharp edges behind. Of course, you occasionally have to put your hands in the tank, but it is important for them not to be contaminated. And by this we mean soap or cream that leave residues into the water which can be very harmful to your fish. If you need to work with your hands into the tank, make sure they are clean. Wash them thoroughly with soap and rinse well to make sure no more cleanser is left. This might be very obvious to somebody who is more experienced, but we need to cover this aspect as well. 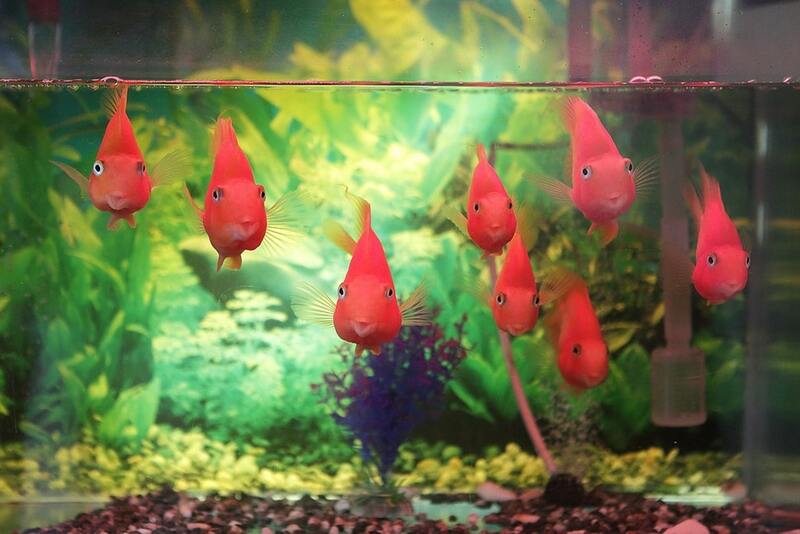 No matter how big your tank is, there are many breeds of fish that are not suitable for it. The Iridescent Shark, for example, is a large catfish and a very active swimmer that can grow up to four feet long. It is essential that you do your homework and research on fish species and their requirements before adding them to your tank. Moreover, you need to know exactly what types of fish you can put together. Some eat others, and you definitely do not want that. Purchasing the wrong fish is not only a waste of money, but you might also end up killing it or all the others. If you just read the title and some of the headlines you might think the writer lost his or her mind — these are things you put into a tank! 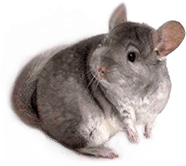 Still, as we have mentioned at the beginning of this article, there is a lot of research involved in setting up an aquarium and a healthy habitat for your fish. We managed to cover just a few aspects, but it is a good start.